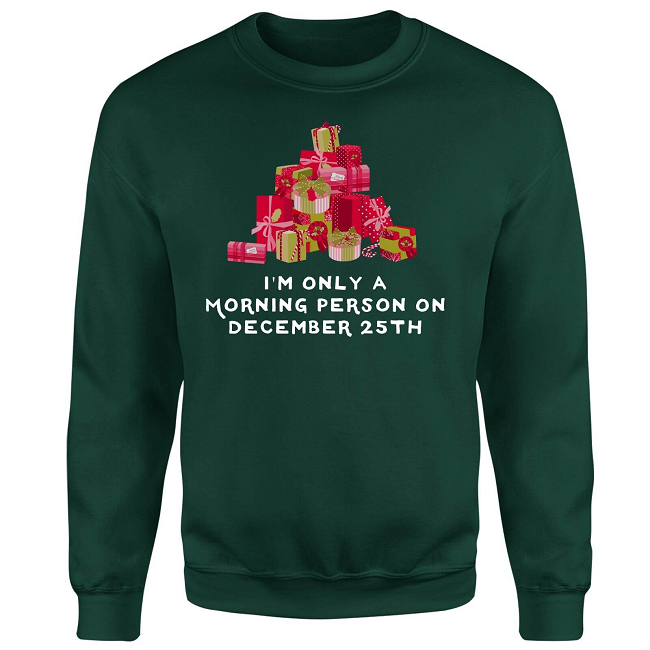 Christmas jumpers are a festive fashion must-have, and now no December wardrobe is complete without a bright, bold winter jumper. 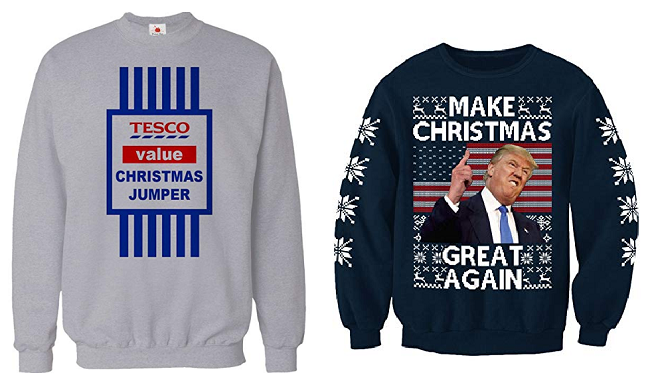 If your Christmas jumper from 2017 is looking a little past it's best we can help you find the perfect replacement, no matter what you're looking for. 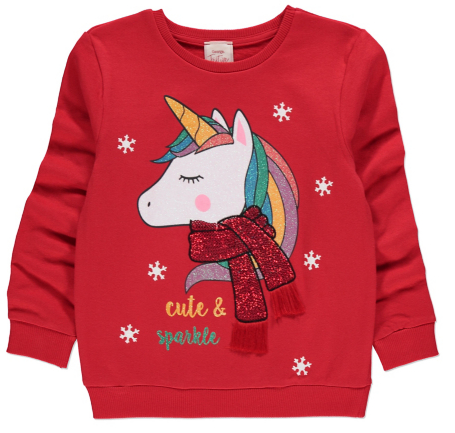 Half Price Christmas Jumper Sale @ Marks and Spencer* Prices now from £5, includes childrens and adults Christmas jumpers. 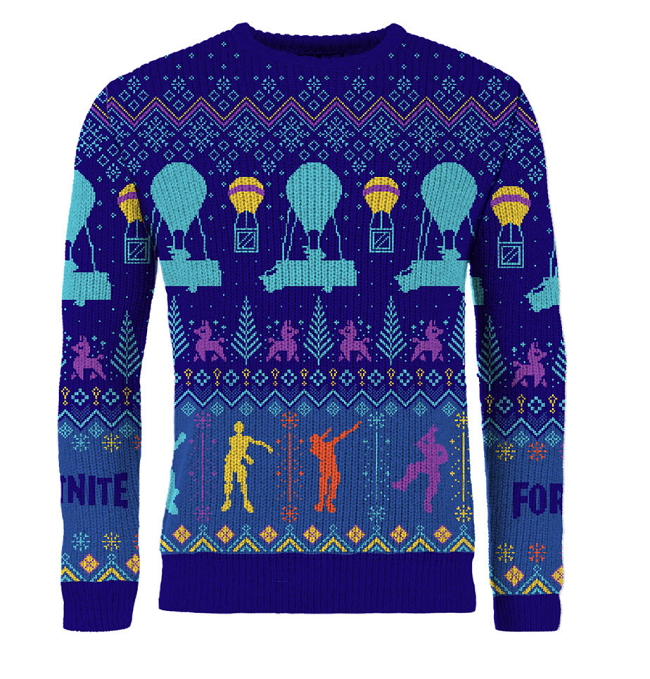 Fortnite Christmas Jumper, available in adults & children's sizes. Pre-order at Game* or Amazon*. 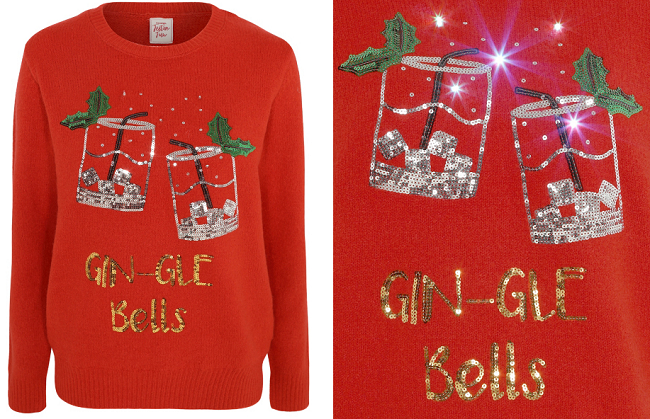 Matching Family Christmas Jumpers @ Aldi* Adults £7.99, Kids £5.99, Pets £4.99. 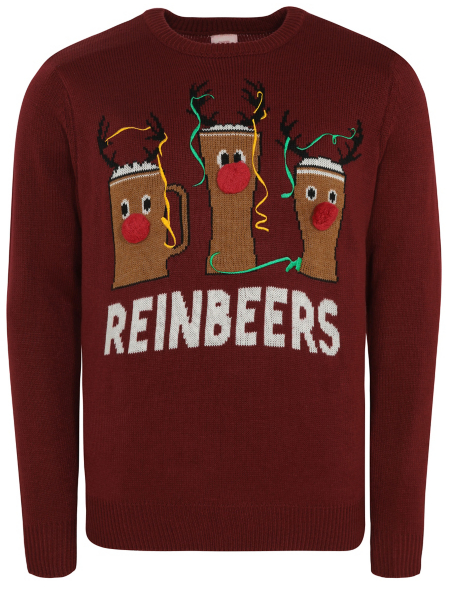 Pre-order now online at Aldi, in stores from 2nd December. 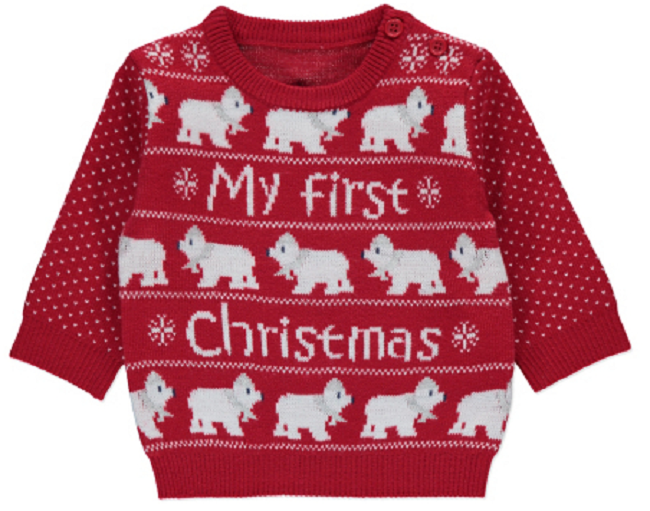 Matching Family Christmas Shop @ Next*Lots of different 'mini me' and familt matching xmas jumper designs. 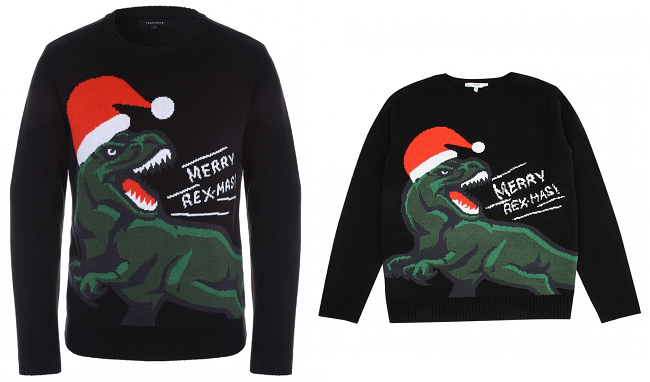 Matching T-Rex Christmas Jumpers:forMen* £18 and Boys* from £10, both @ Peacocks. 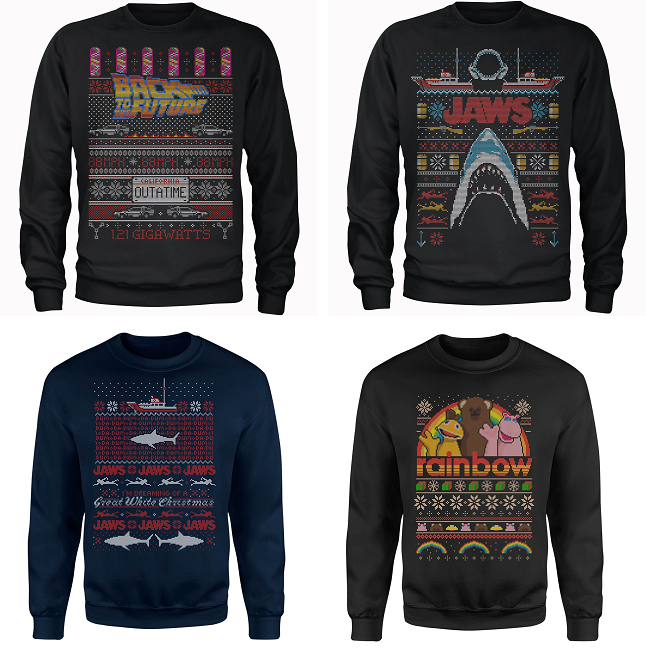 Women's Christmas jumpers come in a really wide variety of styles, as you can get smart, classic fairisle and winter themed wooly jumpers, funny ones, tv and movie themed, and also trends like llamas, pugs and unicorns. Here's the best of what's out there right now, and as more great ones are released they'll be added here. Oh the cuteness! 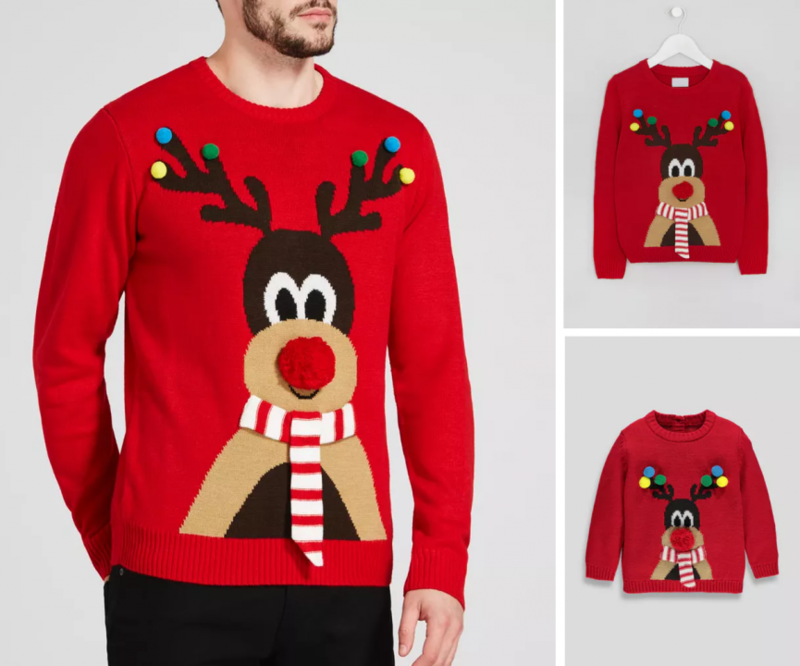 Babies and toddlers look so sweet in festive knitwear, and you'll have trouble choosing just one from this mix of santas, snowmen, reindeer and more. 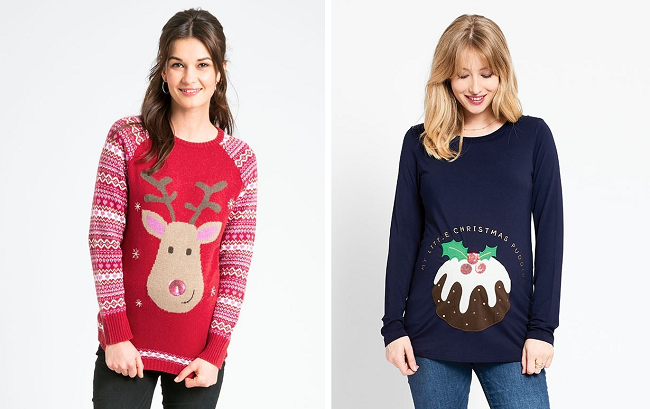 There's a bigger selection of maternity Christmas jumpers every year, and the ones on sale so far are gorgeous! 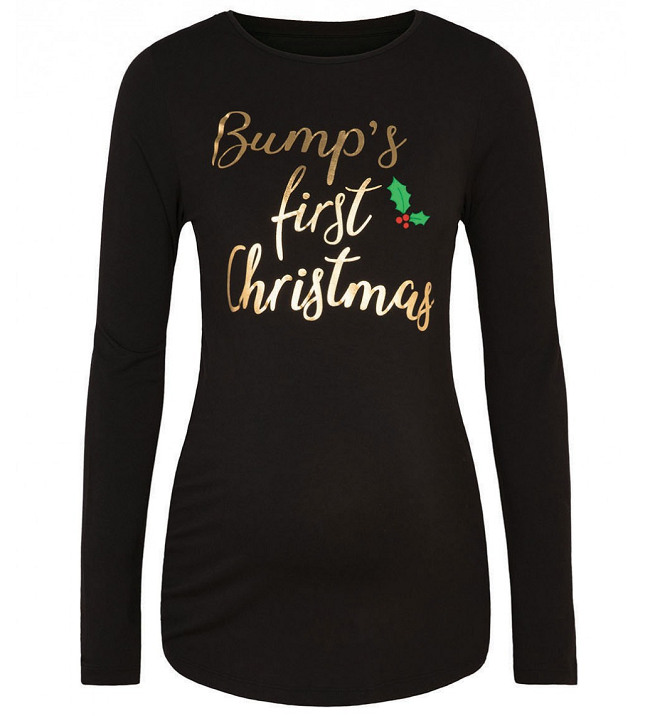 If you have little ones as well as the one on the way check out JoJo Maman Bebe for matching family jumpers to go with your maternity one! 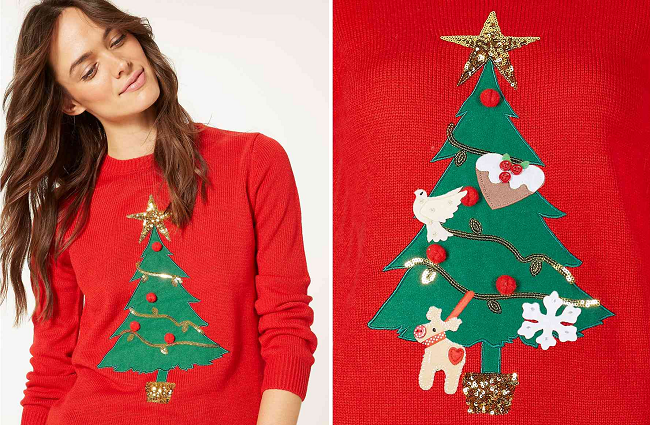 The usual plus-size stockists like Evans, Simply Be, New Look Curve, Dorothy Perkins stock a good range of Christmas jumpers, and remember that some Asda women's clothing goes up to a size 22 or 24, so they are also a good option as well as the plus-size specialist ranges. 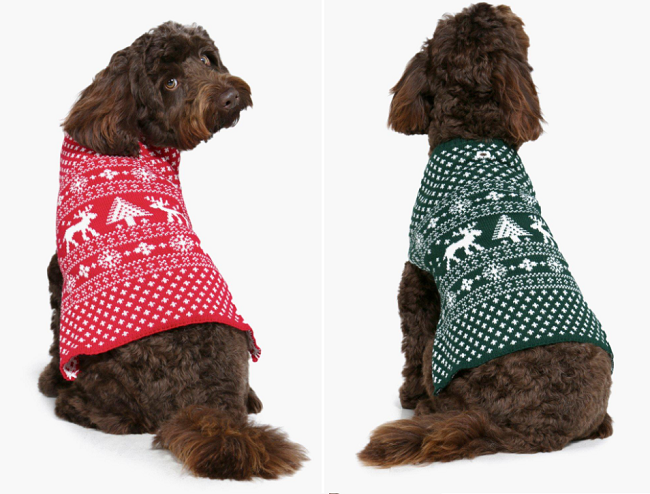 Make you pooch ready for the festivities with these cute and cuddly knits, and if you're after the bargain B&M ones (from just £2.99!) better be quick as they'll sell out fast at that price! 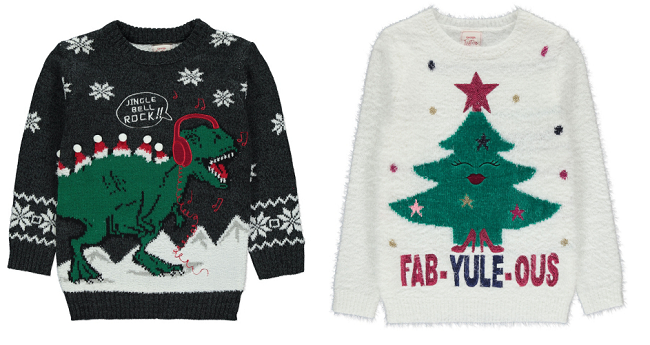 Primark* have a great selection of Christmas Jumpers* for the whole family in store, and prices start from a crazy £3! You can browse the selection online here*, but as stocks sell out almost as soon as they hit the shelves it might be just as well to just head on down to the shop! 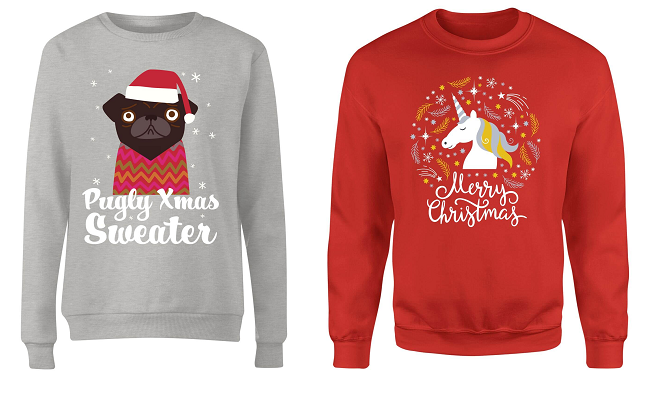 You can expect llamas, unicorns, pugs, dinosaurs and lots more festive faves. 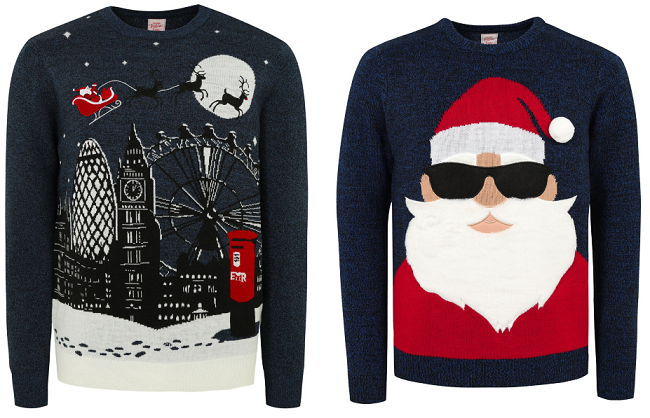 Where is the navy Rudolph one from on far right am I being thick I can’t find it?! Still got all ours! Dad has his too! Only one who will need is kayden as he’s grown out of his so AJ will get that! I love them all!!! 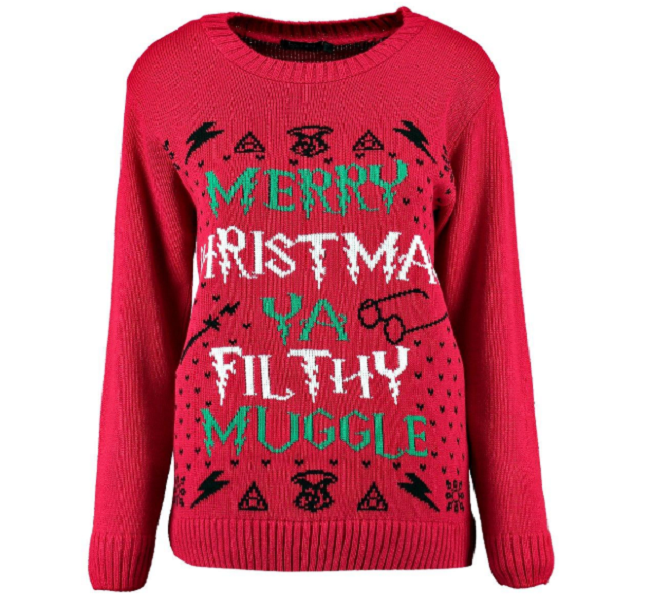 I am so so excited for the Asda matching pjs too! 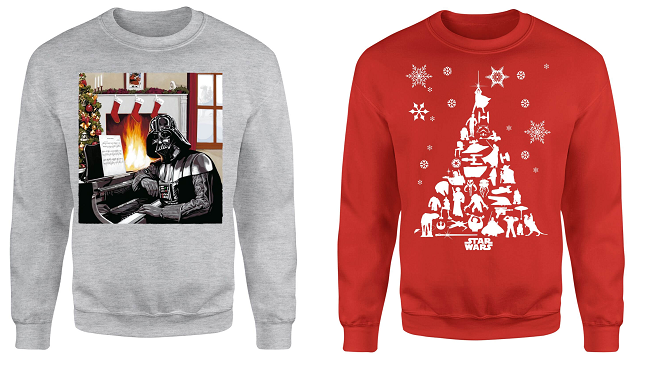 Loving a lot of these jumpers!! 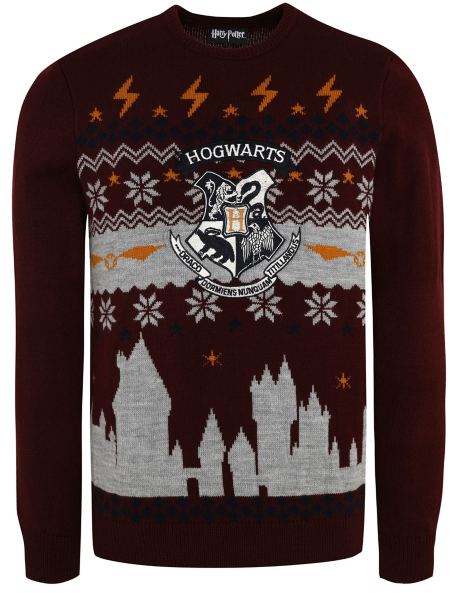 Omg I actually want this Shall we get them as matching Christmas jumpers? !